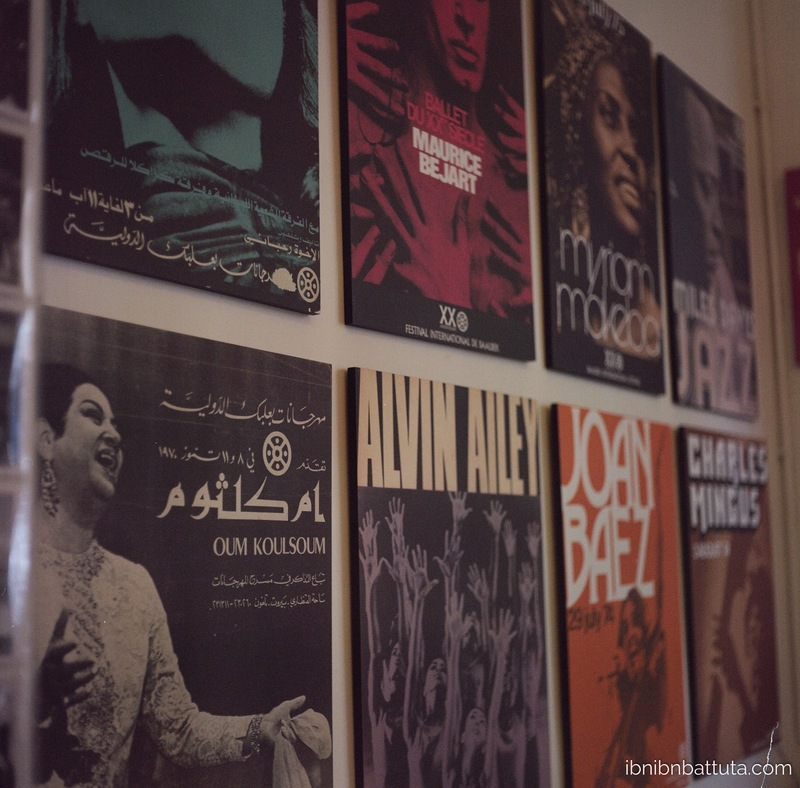 Wall art for sale at Plan Bey in Mar Mikhael. 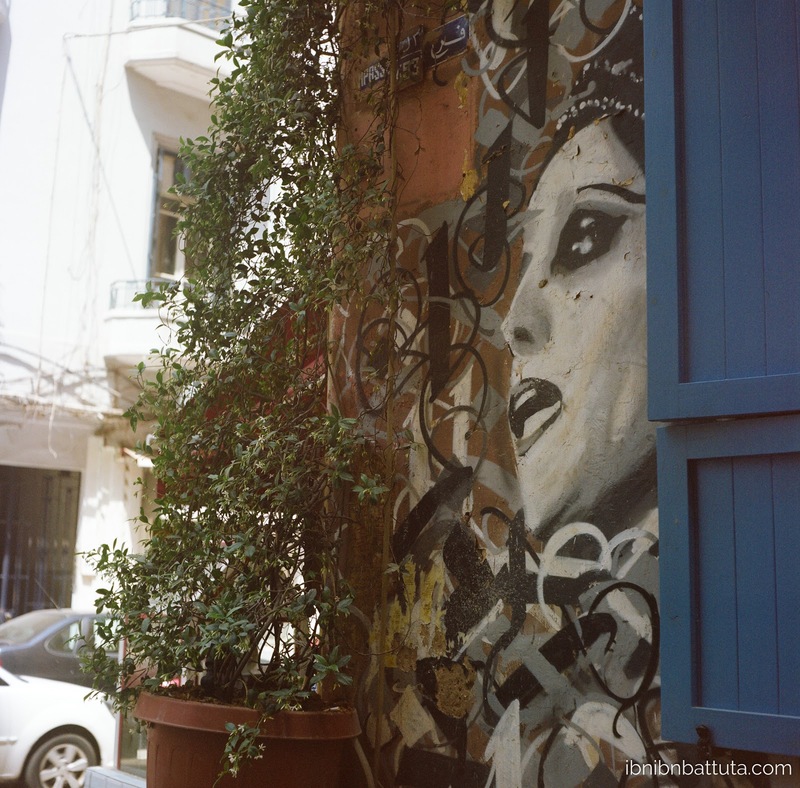 The Beirut I had last visited, on a quick Lebanon tour around Christmas 2005, was a very different city than the one I discovered this year. Back then, Lebanon was a country still emerging from civil war—while threatening to plunge back into violence. Although the war had ostensibly ended in 1990, a prominent journalist had been assassinated just two weeks before my visit, and prime minister Rafik Hariri less than a year before that. (Along the seafront corniche, I remember the car bomb's blackened crater still gaping skyward behind a thin line of police tape.) Nonetheless, there was cause for optimism. New construction was all around, and the city was regaining its reputation as a nightlife and shopping hub. Developers had recently unveiled the newly rebuilt downtown—where huge crowds flocked to open-air restaurants, sheesha bars, and luxury shops. But among the new construction sites, ruined buildings still stood throughout the city, pocked by bullet holes. Today some of those scars remain. The bullet-ridden buildings, while fewer, are still visible (some of them deliberately left as monuments to recall the city's troubled past). On one of many walks around the city, I passed under the shadow of the infamous Burj El Murr tower, a former sniper post and icon of the country's violent history. But overall, Beirut looks to have turned a page. Mar Mikhael, the neighborhood where Nina and I stayed (in the quaint Baffa guesthouse), is now Beirut's answer to Brooklyn—a hipster enclave complete with gourmet coffee roasters (Kalei), engrossing independent bookshops (Papercup), homegrown culture and design magazines (Carton), art print suppliers (Plan Bey), a street-front indy radio studio (Radio Beirut), gourmet ethnic (Mayrig) and concept (Makan) restaurants, plus countless designer boutiques. At night, a multicultural, multilingual crowd spills out of bars for block after block along Armenia Street. My personal favorite was Terminal B, a chic cocktail bar squatting beneath the stars in a roof-less, stone-walled husk that was once a wing of the old train station. One major disappointment, however, was Beirut's downtown development district, where the crowds I remembered have thinned to almost nothing and many haute couture shops stand empty, their front windows caked with dust. A bland new mall has sprung up at its periphery, but otherwise the city center is a largely deserted wasteland. Before the war, it is said, downtown was the beating heart of Beirut. But its current state appears to vindicate the critics of Solidere, PM Hariri's development conglomerate that spearheaded the neighborhood's post-war reconstruction. By trying to refashion the quarter in the image of Dubai or Doha, critics had alleged, Solidere was sterilizing a quintessential piece of Beirut. Like it or hate it, the experiment may have worked for a period, but definitely looks to be failing today. 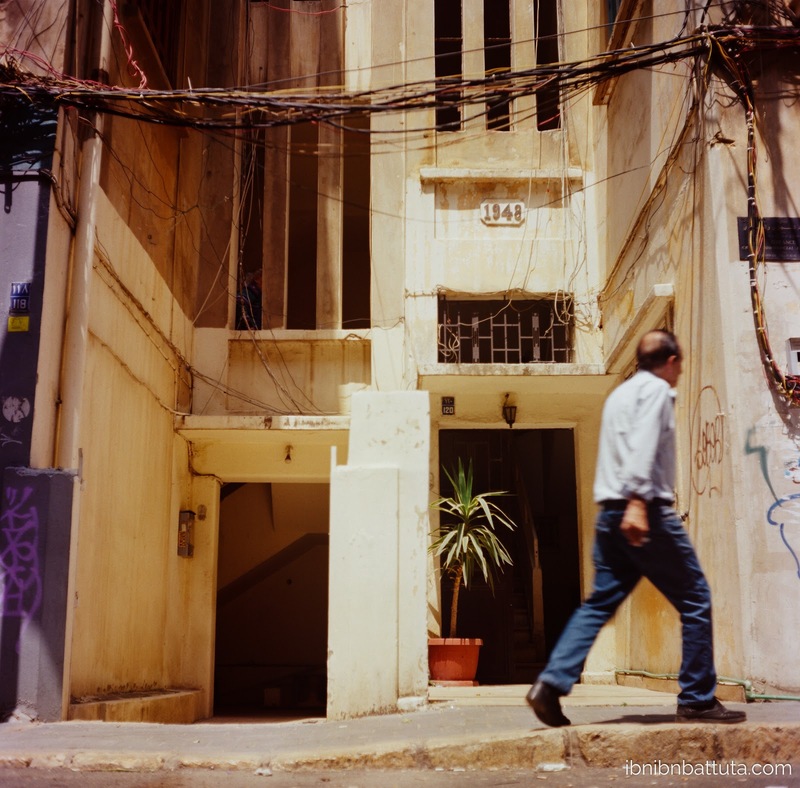 We skirted downtown whenever we could, sticking instead to an arc of more authentic, historic neighborhoods nearby, including Hamra, Achrafieh, Gemmayzeh, and Mar Mikhael. No strangers to government dysfunction, the Lebanese still suffer frequent utility outages. 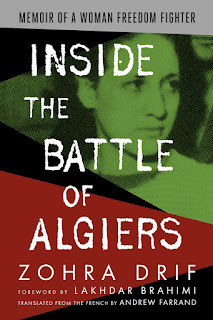 Inevitably, Nina and I spent much of our trip comparing our surroundings to life back in Algiers. From the crumbling French colonial architecture, the seaside restaurants, and the warren of stairways linking hillside neighborhoods, it's clear that the two cities share obvious similarities, but they also differ in remarkable ways. Two former French colonies that inherited challenging legacies upon independence, Algeria and Lebanon have dizzyingly complex social makeups. Both countries—and particularly their capitals—were scarred by brutal civil wars. But one could make a case that, where Beirutis have learned to begrudgingly look past (though never forget) their differences in order to rebuild their city, revive their once-vibrant social life, and flourish, so the residents of Algiers have retrenched, embraced suspicion and allowed mistrust to dominate the public sphere, and seemingly abandoned hope of a return to normalcy. These reactions, one might argue, are reinforced by the two countries' relationships to the outside world. While Algiers remains isolated and stubbornly post-Soviet, Beirut is cosmopolitan, outward- and forward-looking, and fertilized by constant exchange with the Gulf, Europe, Iran and Turkey, and beyond. It's easier to dream big and dream together if you can take inspiration from your neighbors and the wider world. Each time we walked past a chic Beirut coffee shop, a girl strolling comfortably down the street in a miniskirt, a Mexican restaurant, or countless other signs of "normalcy", Nina and I would exchange a silent glance, asking wordlessly: Why is it that we're still living in Algiers? 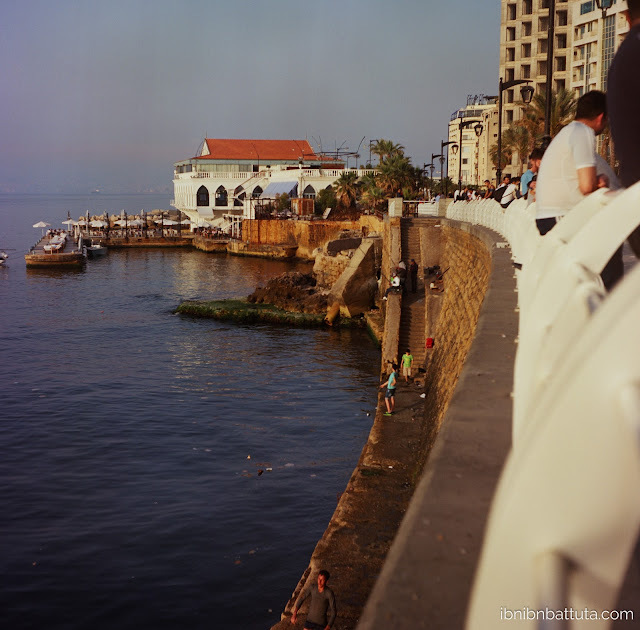 Along the waterfront: Each evening, Beirut's corniche draws joggers, fishermen, and strolling families. "Oh, Algeria! How is it living there?" Just as the Algerians in our group were pleasantly surprised to find Beirut progressive, peaceful, and bustling, the Algerians' presence provided the Lebanese with a chance to confront their own stereotypes of Algeria. Both countries, of course, earned rough reputations during their respective civil wars. Nina and I grinned from ear to ear while watching the Lebanese and Algerians each overturn the outdated clichés that the others held of their country. Occasionally, one even glanced at us—the presumably unbiased outsiders—for confirmation, which we granted with enthusiastic nods. Yes, it really is much better than you imagine! Name that diva: Graffiti depicts Fairouz, Lebanon's most famous singer, on a Gemmayzeh wall. 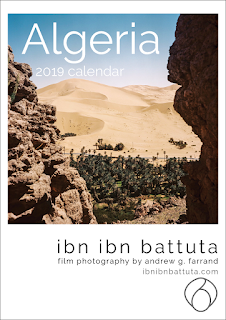 Over the long weekend, Team Algeria joined up with a large Italian contingent plus Nigerian, French, Turkish, American, and British guests—and of course many Lebanese—for a series of meals, sightseeing, clubbing, and other outings, all culminating with Khalil and Julia's party. Unsure what to expect from the fête, my brain had sketched an image of wine bottles and six-packs being drunk around a modest dining room table. Instead, the extravagant party rivaled quite a few wedding receptions I've attended. In the garden of their elegant traditional home on a Gemmayzeh hillside, our hosts had erected an open bar, lavish buffet with all the best Lebanese specialties, and throbbing DJ stand that echoed across the neighborhood well into the night. Team Algeria dominated the dance floor, ripping up everything from favorite raï classics to modern dabke hits. I and others were feeling it the next morning when we boarded a bright red-and-white bus for a group road trip to Sidon, a southern port city. But we wrangled our hangovers into submission then danced through the whole rides down and back, including to the song that emerged as the trip's undisputed anthem, "Jenno wa Netto" (Arabic for "Go crazy and jump around"). The road trip finished back in Beirut with a dance party on the bus's roof—an appropriately surreal conclusion to this wild blur of a weekend. 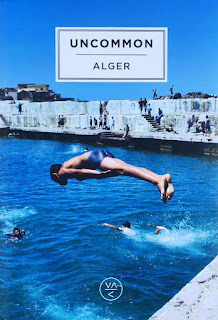 Motorists honked in solidarity, pedestrians clapped and waved, the police ignored us; it was a moment of uninhibited fun that would be hard to imagine seeing back in today's Algiers. Someday, perhaps. 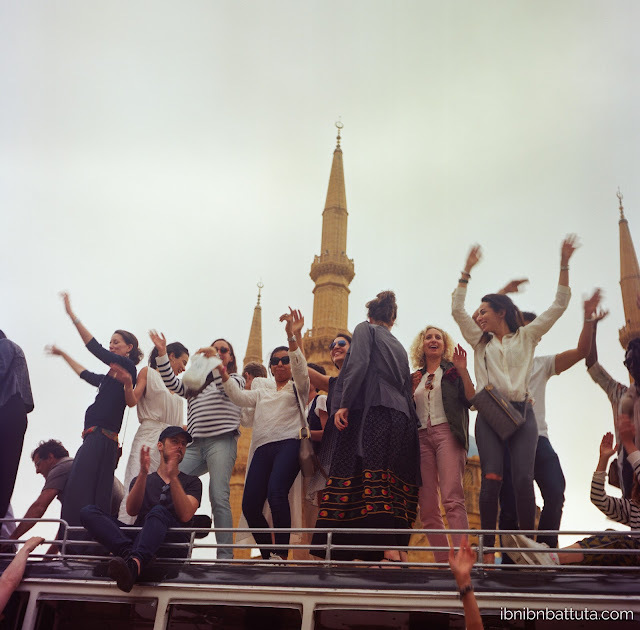 Dance party on the bus, with the spires of Beirut's Mohammad Al-Amin Mosque in the background. 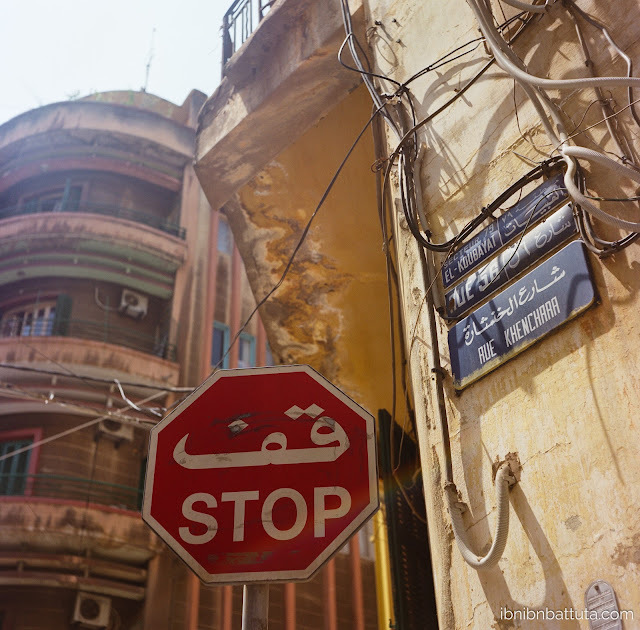 Click here for the full album of my Rolleicord photos from this trip to Beirut and Sidon. Magnifique, Andrew! Really enjoyed reading this.